There are many opportunities for your company to gain year-round recognition and greater public awareness as a Zoo Partner. Zoo sponsorship builds brand awareness and loyalty, can increase your customer base and shows your commitment to non-profits and conservation. The Zoo offers many opportunities to reach a large audience and effectively communicate your message. Sponsorship opportunities include special events, community outreach, educational programs, and conservation initiatives. For information on corporate opportunities, please contact the Zoo via email at development@centralfloridazoo.org. The Central Florida Zoo & Botanical Gardens welcomes corporate, agency and organized community volunteer groups to help fulfill the Zoo’s project needs. The tasks for each project and event vary greatly, but each one offers your group the opportunity to coordinate your own team-building activities, have fun and provide a valuable service to the Zoo. For more information, please contact the Zoo’s Volunteer Manager at 407.323.4450 ext. 127 or via email at volunteers@centralfloridazoo.org. To find out if your company matches gifts and/or volunteer hours, contact your human resources department to ask about charitable match programs. The Central Florida Zoological Society Inc.’s Employer Identification Number (EIN)/Federal Tax Identification Number is 59-1357197. It’s a jungle out there! Let us help you with your next corporate event. 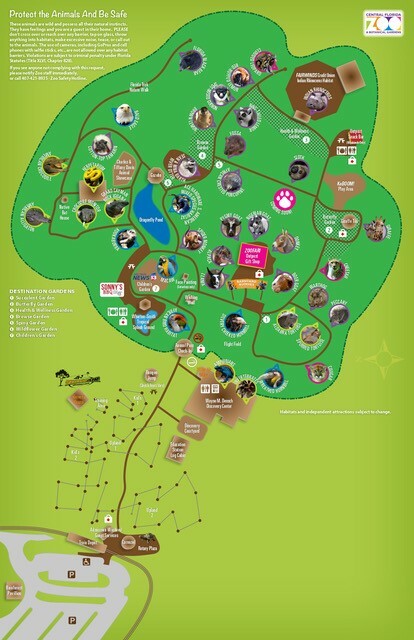 Whether it’s a tame business meeting or a wild company picnic, the Central Florida Zoo & Botanical Gardens has a unique venue for you. With indoor or outdoor venue options to choose from, we have your event needs covered. We are conveniently located off I-4 with easy access to beautiful Lake Monroe and Downtown Sanford. For more information and pricing please contact the Zoo at events@centralfloridazoo.org.